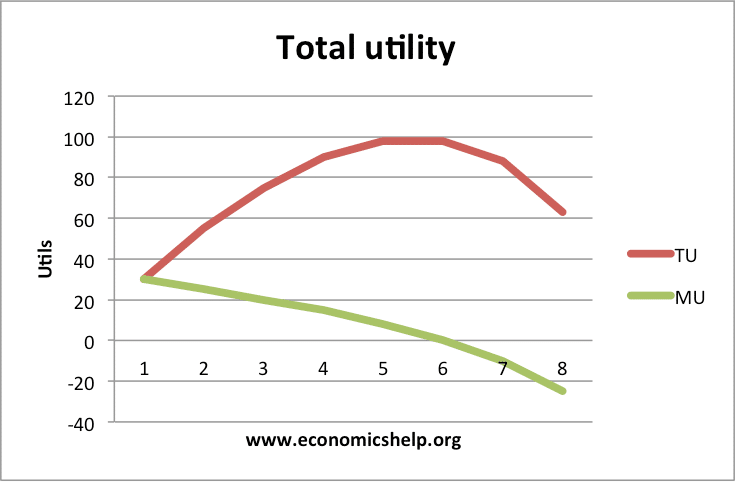 In economics, utility refers to the amount of satisfaction that a consumer gains from a particular good or service. 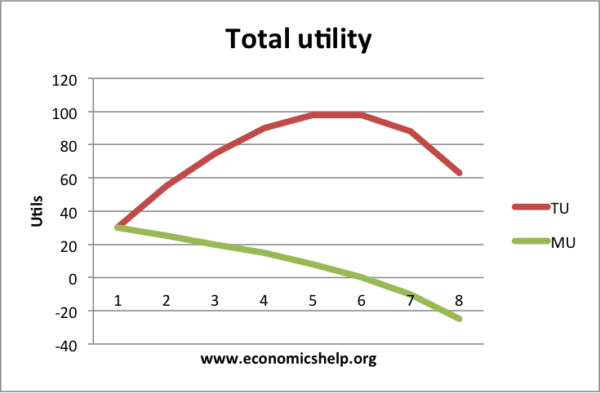 Total utility refers to the complete amount of satisfaction gained. 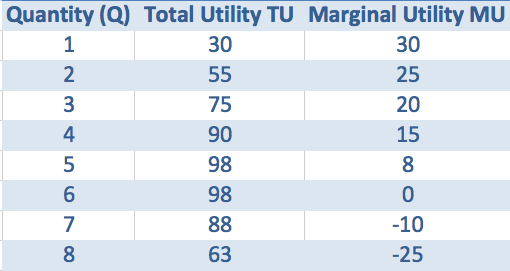 Marginal utility refers to the satisfaction gained from an extra unit consumed. The decision of how much to consume also depends on the marginal cost of production.